Annette knew she would never forgive Lucien, and she was going to make sure no one else did either. Then some surprising things began to happen to them both. This abridged version of the classic story, TREASURES OF THE SNOW, is illustrated with enchanting full-colour photographs to delight young readers aged 7-9. About "Treasures of the Snow (Film Edition)"
A gift book that should appeal to those who are new to Patricia St John's work as well as those who have grown up with her stories. 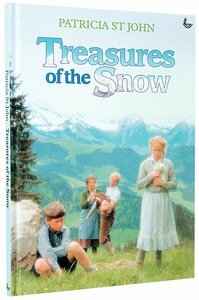 Using stills from the Universal Pictures film, the story of Treasures of the Snow unfolds in a visually exciting way. St. John worked as a war-time nurse, health-care missionary to Morocco, and president of Global Care, a Christian charity working for needy children around the world.